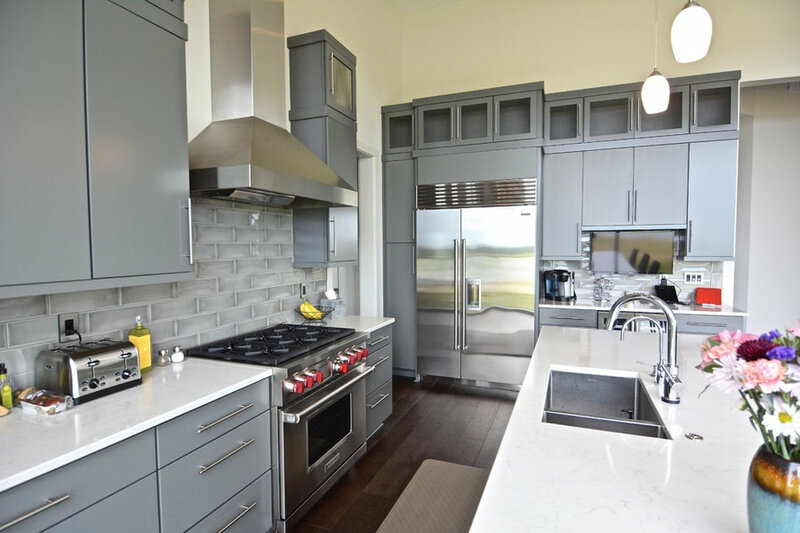 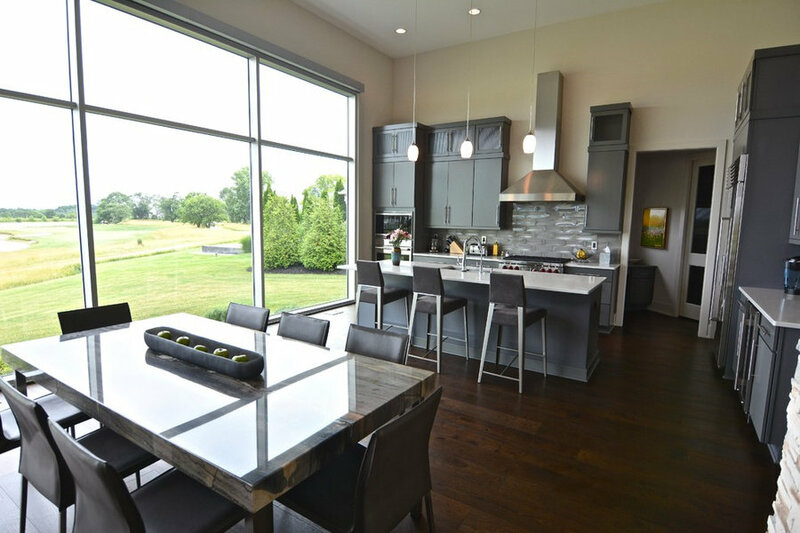 This contemporary style home built by Christopher Scott Homes features an open floor plan and beautiful golf course views through a lofty wall of glass. 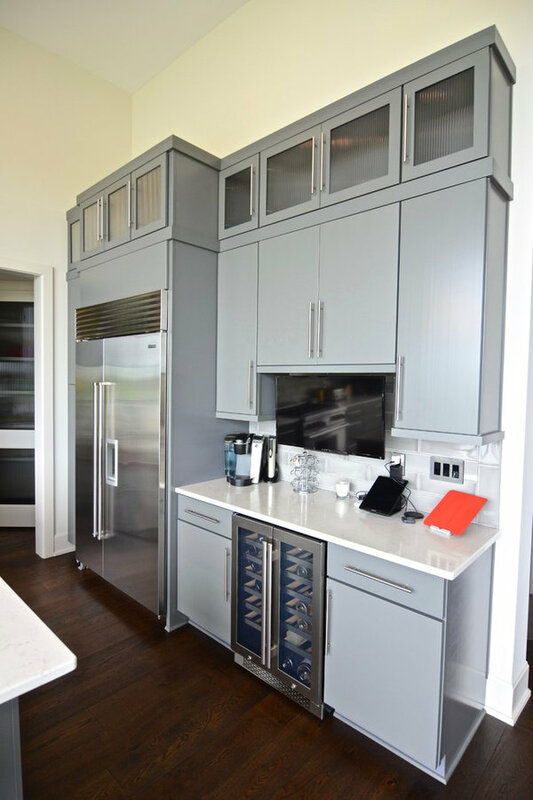 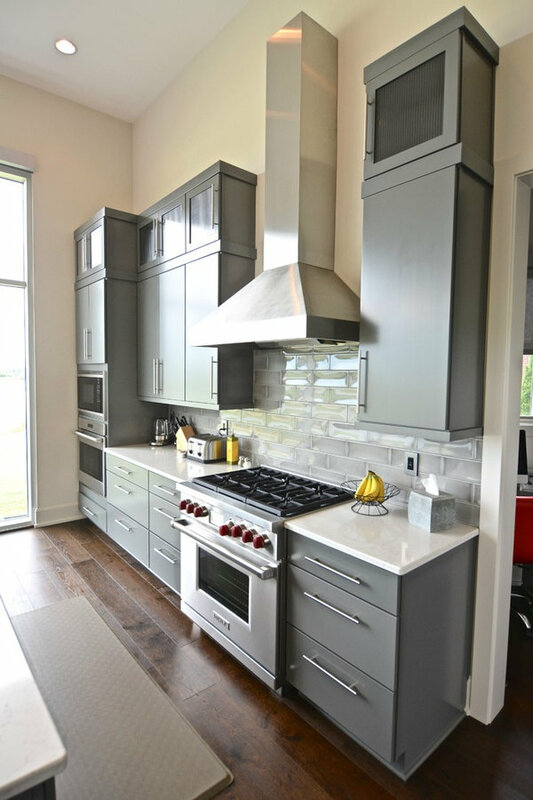 To accentuate the view and clean lines of the room, we selected a simple, understated slab-door cabinet design in a neutral grey color. 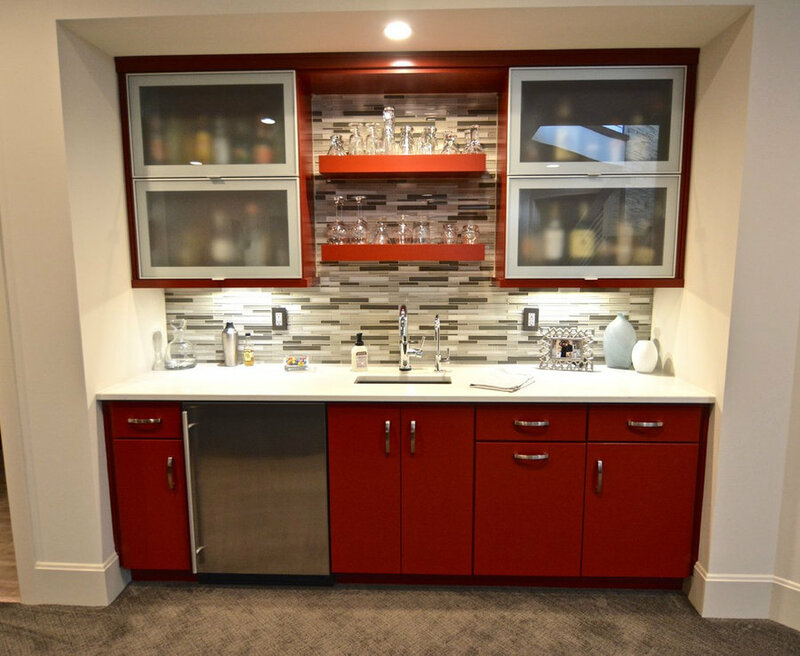 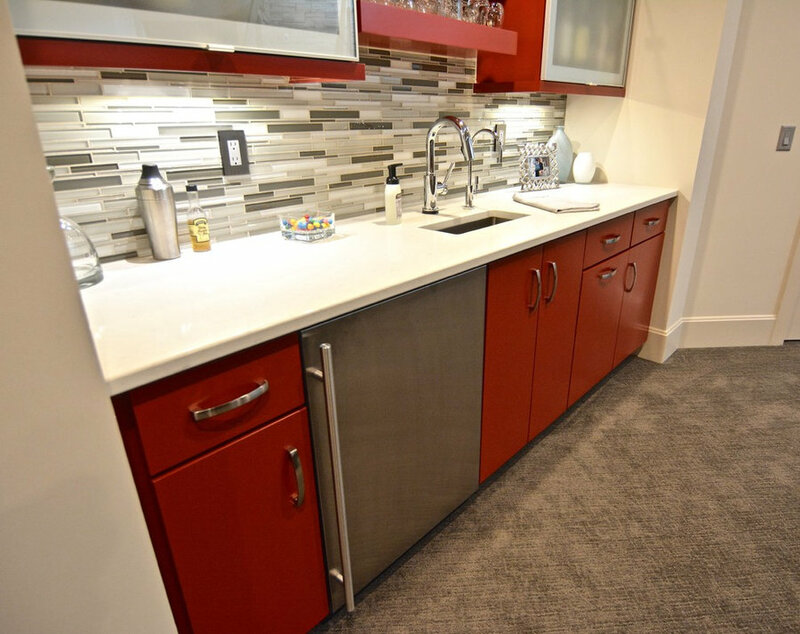 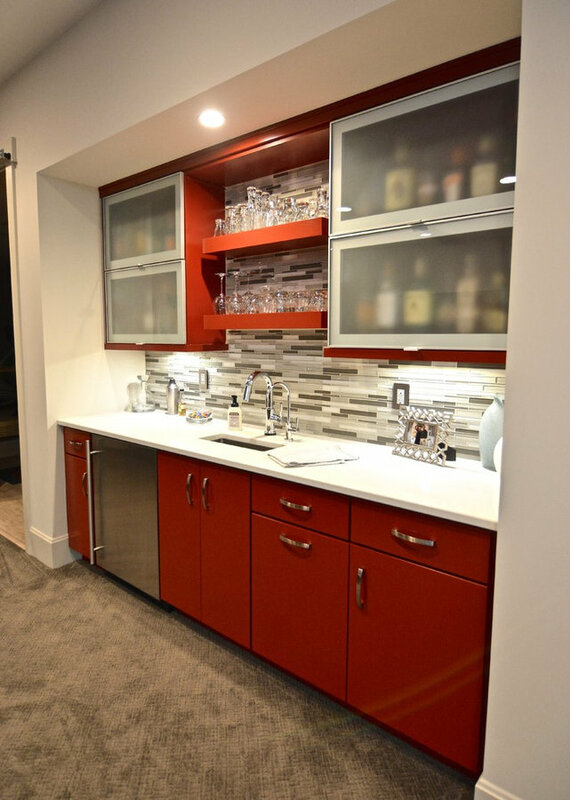 Eye-popping cardinal red cabinetry with brushed aluminum framed doors makes a dramatic statement in the lower level bar area. 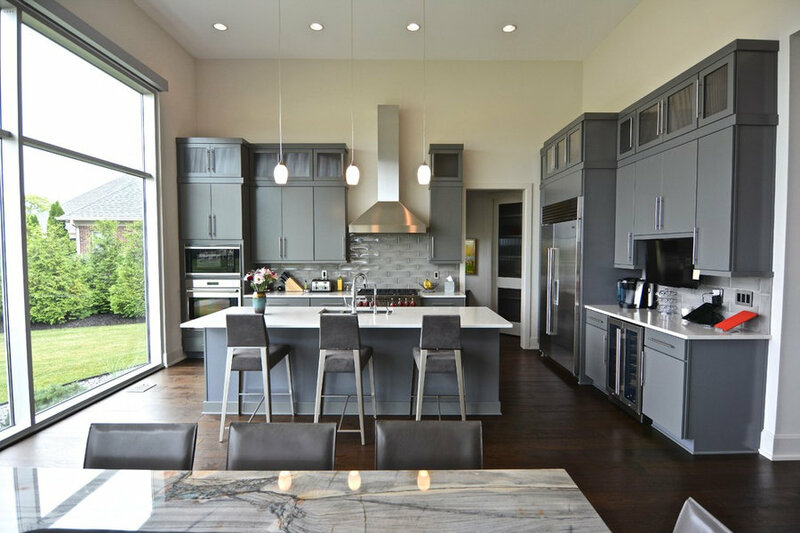 Designed by Tom Quinn.